that’s right folks, it’s another round of alphabet fun! hmm… k…. 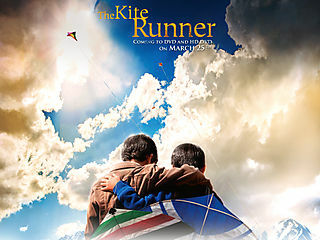 kite runner: saw this movie the other day because steve keyes recommended it. while some of it was hard to watch, it’s really an eye opener. if you’re ever in the mood to truly be thankful for what you have, watch this movie. kitty: i used to have this cat named… kitty. i used to be horrible at picking names. (i also had a goldfish named fishy)… but anyway, this cat was a weirdo. it would make funny clicking noises at squirrels and jump on walls trying to grab… well.. nothing. then she got into marking her territory and mom said she had to go. kitty was kinda mean too… my mom still calls her demon cat even today. keys: i love my husband. even though he has ADD. even though he is constantly misplacing his wallet and leaving his keys at random places. last night he left them at the church office. i know what you’re thinking. he was riding with someone else, so he didn’t realize it until he got home that he had left them there. why he took the keys with him in the first place? ask him, cause i have no idea. kit kat: um… it starts with a k and it sounds really good right now. jason and jeremy. usually i am not a bachelorette fan, but when you met this season’s bachelorette back when you were 15 when you were visiting your friend meghan in georgia, you just can’t help it. these are the two guys i’m pulling for right now… what about you? just friends. this movie is hilarious. david and i love it and don’t seem mind watching it over and over again. anna faris is who makes this movie worthwhile… if you haven’t seen it, check it out! jaida. check out this post. 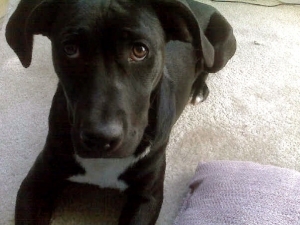 i love this face as well. hilarious. 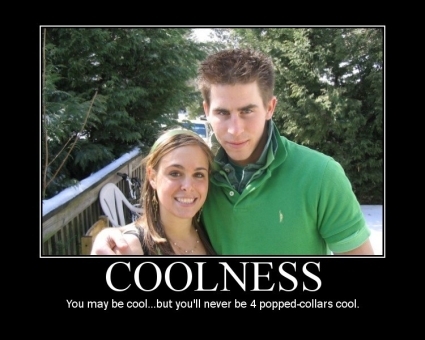 as in, this picture i got in an email recently. hot weather. i love it. honeymoon. it rained every day on our honeymoon. that’s why i’m so looking forward to cancun. woo hoo! hot tamales. these are david’s favorite candy. horses. the kentucky derby this past weekend was one that will not soon be forgotten. it makes me incredibly sad, but incredibly proud of eight belles at the same time. she had a good run. houseguest. david and i are having one all summer. welcome, david whitlow. happy. my birthday is coming up… may 17th. wanna guess how old i’ll be? be nice. GOODBYE NATALIE!! can i get a woop woop?! okay i know that i posted earlier that no one that i ever wanted to win big brother wins. so whenever james was evicted last week i immediately started pulling AGAINST natalie. for once, i got what i wanted and she’s evicted. not that anyone who reads this probably watches big brother (except christian maybe), but i just had to share how incredibly overjoyed i am at the moment. 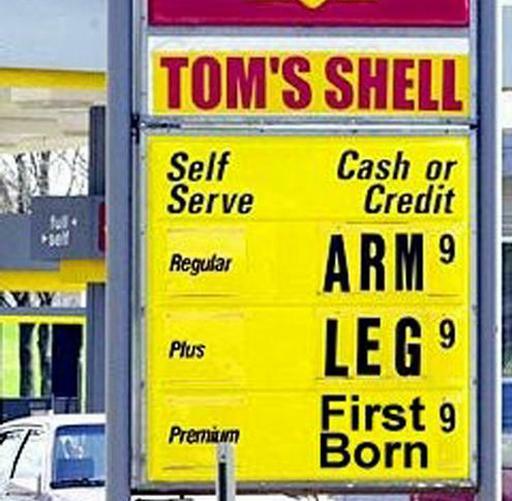 Gas Prices: seriously. i might even consider david’s latest obsession. at least they get 60mpg. that’s the only pro i can think of though. all the rest are cons. Google: so when sarah meszaros read on my blog that she is the most google search term for people to get here, she actually googled herself (after she laughed incredibly hard at her desk at work). she said the only thing that came up was her romainia blog. i told her she needed to get more specific and add the quotation marks around her name. how bout you? what comes up for you when you google your name? Earle: yes, this is my maiden name for those of you who don’t know. this mainly includes people from my church, who have probably never heard what my maiden name was. those of you who have known me forever are probably still calling me this. it’s okay though. i understand that laurenearle kinda runs together and it “just doesn’t sound right” to say it any other way. i like my new last name though. it’s a lot easier when making reservations. Family Feud: (how do you like the alliteration on that one?) i used to love this show. i should have been on it, i was so good. i think that it should come back on primetime tv. everything else has, like american gladiators and a crazy whacked out version of name that tune called don’t forget the lyrics. Facebook: sometimes i get my kicks by checking everyone’s facebook status updates. i, however, refuse to do them. i especially like the ones that try to tell off their friends while using facebook status updates. for example, Regina Falangee doesn’t understand why certain people try to start fights at bars… that’s sooo cool. hilarious, right? plus, i think it’s awesome that i’m a part of a group called “my name is lauren walker” and there are 30 members. we rock. David (of course): i really don’t think that God could have picked a better person, perfect for me… i really don’t. i have so much fun with my husband. we laugh more than i think anyone should be allowed to do so, mostly when doing routine things, like brushing our teeth or washing our face. this mostly involves singing in hilarious voices, and one or both of us will get so tickled that we get soap in our eyes or spit tootpaste on the mirror. i love being married to david. DVDs: i own way too many of these. david and i are movie buffs, therefore we collect them, but then we forget that we have them. kyle, david’s brother, even remarked yesterday, “yall haven’t even opened up v for vendetta?” yeh… that’s not the only one. i’m seriously considering maybe putting some on ebay, but i don’t think it’s worth my time for the money. Debbie Gibson: her album, out of the blue, was the first cassette tape (oh yeh) that i ever had. i wore this thing out. i knew every single word, even during the dialog with her boyfriend. “don’t walk away from me, boy…” i remember listening to this on my pink walkman during a trip to kentucky. my dad was asleep in the backseat and shot up because he thought we hit a cow because of the noise i was making. Daddy: turns out that he was just joking about the whole “did we hit a cow” comment, he bought me a karaoke machine that christmas. i loved it. he figured out a way to record me singing this album with debbie, then he actually bought me the track to tiffany’s “i think we’re alone now” and i rocked that one as well. my dad still has it to this day and still thinks it’s the best thing ever. he’s the best. 1-candy. i used to love the stuff, but the older i get the more i love salty things instead of sweets. but let’s face it, m&ms never get old. 2-cheese doritos. see number one. give me a bag of these any day and i can go to town. my brother always told me in high school that he couldn’t figure out how i stayed so skinny when all i ate was doritos and chocolate chip cookies. this was true, but he never caught on that i basically worked out for 3 hours everyday at cheerleading practice. too bad i’m too old to be a cheerleader now. 3- CVS. thanks again to lauren b., i’ve found a new obsession: extra care bucks. if you need any inspiration, check out this post. i’m gonna do it, i already have 10 ecb’s to start with! 4- cruise. no, not tom, but like a bahama cruise. i’ve never been on one, and right now it’s my goal in life to get a bunch of couples and all go together. so, who’s with me?